Bloodborne: The Card Game is a card game, as the title cleverly puts it, where you want to get the most blood echoes on the table, mainly by killing beasts. The others have the same goal. Will you heal up and bank your blood next turn? Or will you press your luck and hunt? What is Bloodborne: The Card Game like? 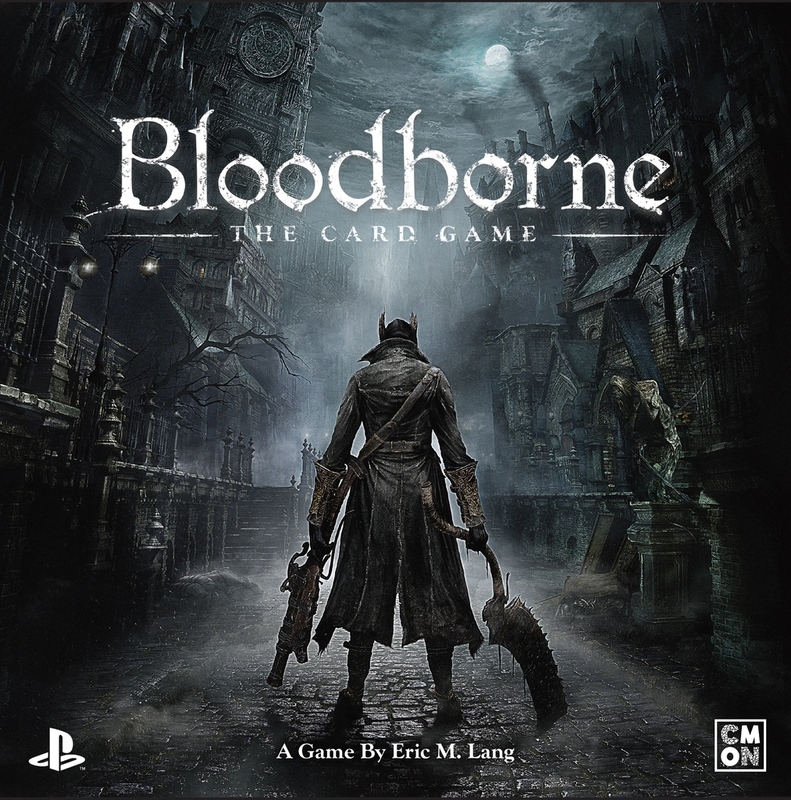 Bloodborne: The Card Game is the card version of Bloodborne, From Software’s acclaimed video game with a Lovecraftian / Victorian theme. 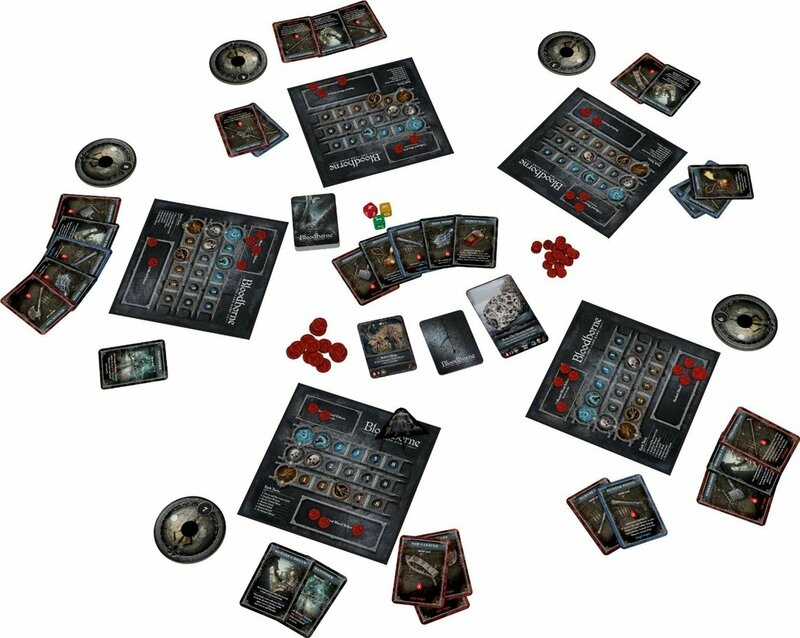 In the card version, players compete for either blood echoes or trophies. At the end of the game, trophies translate to blood echoes. So basically, get the most blood echoes to win. You are completing with the other players, but you hunt enemies together. Getting those echoes is simple enough, damage an enemy with one of your cards, and you get as many echoes as the damage inflicted. If the enemy dies on a round you inflicted damage, you also get trophies. This is important: you need to be there for the kill, and you need to actually deal damage. Each turn you pick a card to use, secretly, and cards are revealed in order, starting with the first player. Actions happen in that same order: they are mostly weapons used in the fight, or tools with an effect. Just as above, order is important: if the enemy dies before you deal damage you get no echoes and no trophies. Each round the first player position moves one space. The most important action other than weapons is the Hunter’s Dream. Taking this action will restore your hit points, you recover all your used cards (this is the only way to recover cards) and you get a new card. Everyone starts with the same deck, so getting new toys by visiting the Dream is very recommendable. In the Dream you also bank your current echoes; you can never lose those. Enemies deal damage, and at some point you will have to spend a turn in the Dream, healing and recovering cards or you will die. Dying is not the end, just a setback. You heal up, but do not recover cards and you lose all blood echoes you have not banked. Once all minibosses and regular enemies die (or flee), you face the final boss. Each final boss has a special ability that changes the game completely, and the enemies you encounter on the way are randomized. This adds tons of replayability to the game. Bloodborne: The Card Game is fun to play, specially if you are with the right crowd. Taunting and poking each other enhances the game experience. When playing with a less verbal company it is still a good press your luck game, except for the occasional damage spike that kills even those taking half damage. That is not fun regardless of the company you keep. The game truly captures the essence of the original game which is a grim affair of collecting resources and trying not to lose them; but the further you go the more you can get. Random damage “spikes” can ruin your play, even when playing safe (which is a very Bloodborne thing, truth be told). Can turn some people off. Mechanics are pretty simple, pick a weapon, deals X damage, get X tokens. Get trophies, trophies are worth X. Player with most X wins. It is the press your luck element that makes Bloodborne interesting, but that is not hard to grasp.